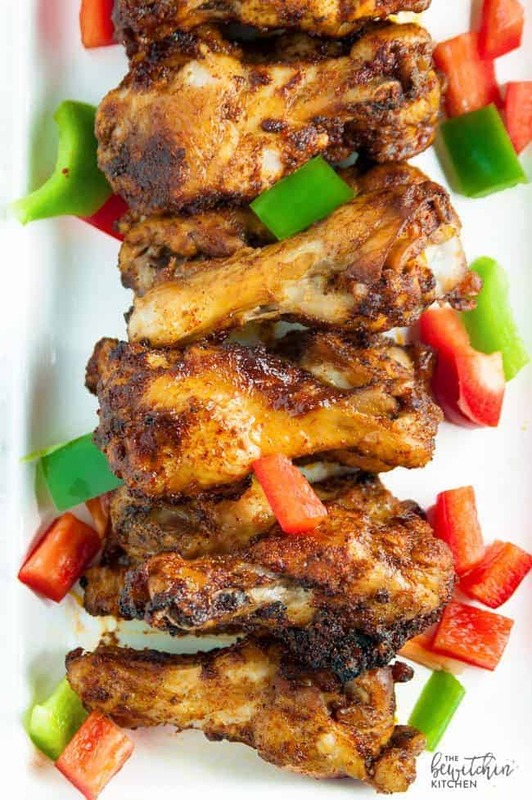 These paleo chicken wing recipes are perfect for your next Superbowl party, game day, or even an anytime snack! From traditional flavors to the not-so-traditional, these recipes all pack a punch without being overly complicated. Oh, and they’re all paleo. No more game-day guilt! 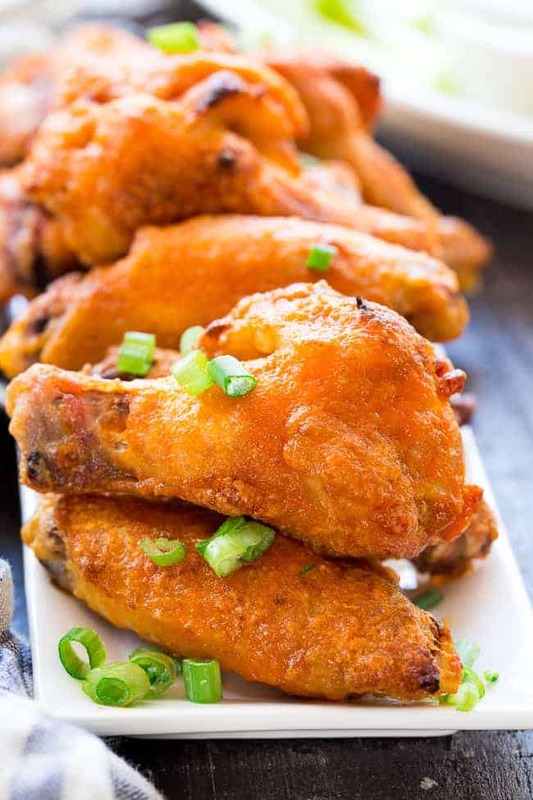 This 6-ingredient recipe leaves you with a crispy, oven-baked wing – no frying necessary. Feel free to serve with an array of dips, or leave naked for those wing purists who like to keep it plain! Paleo Running Momma is a trusted resource in the paleo community, and it’s easy to see why. 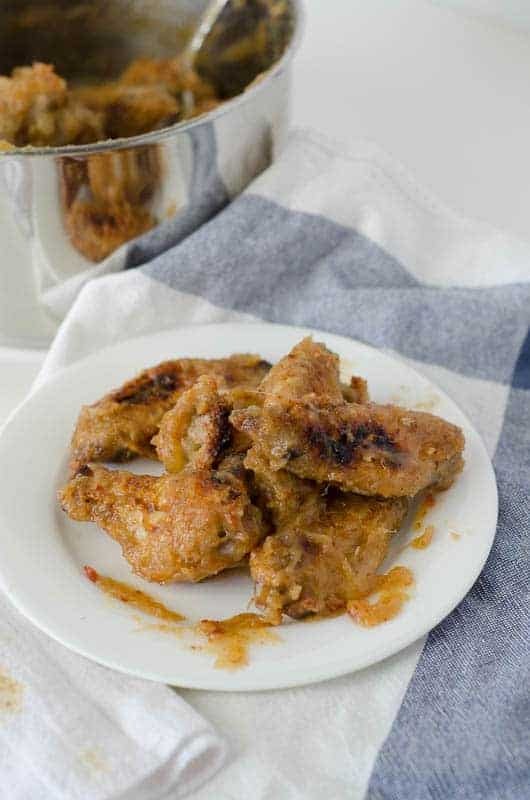 These baked buffalo wings are baked in the oven, but crisped to perfection and use the traditional Frank’s Hot Sauce (the very same one that is used in my Buffalo Chicken Casserole)! Dip in my homemade ranch dressing for a cool counter-flavor to the spicy buffalo. 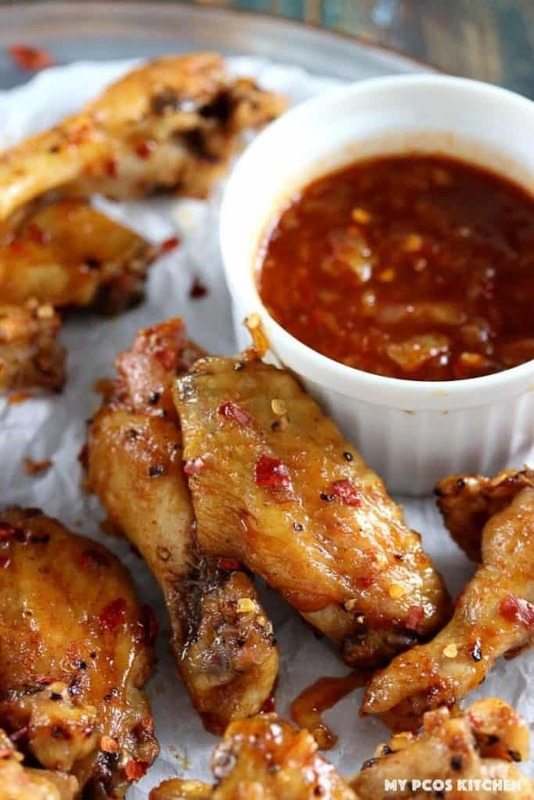 These sticky wings came about when I wanted a saucy wing that packed a punch on the back end. 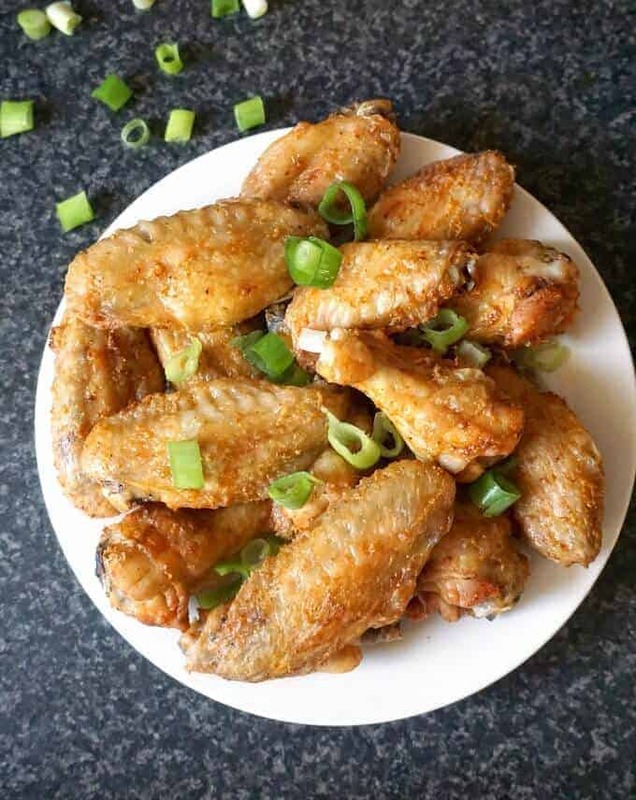 By baking the wings first to get them a crispy exterior, and THEN tossing in the sauce, you don’t lose any of that coveted chicken wing crunch. 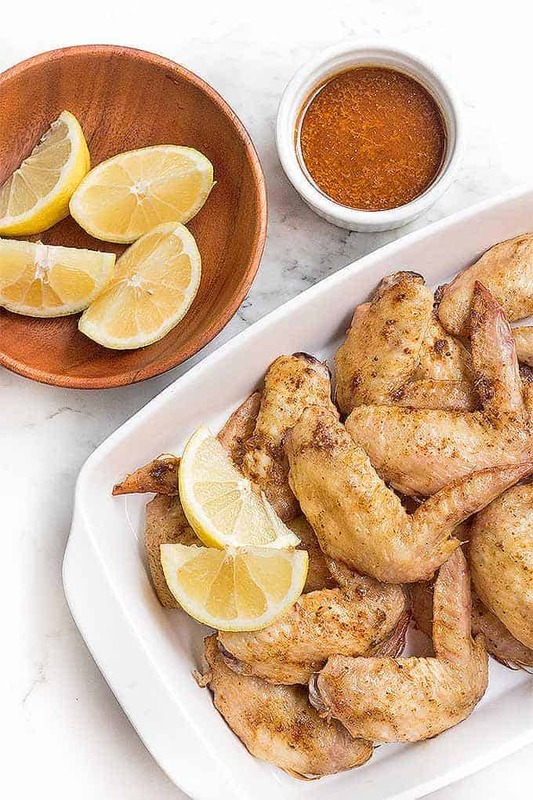 They’re just one of the handful of recipes in my Game Day Game Plan, which is your healthy Super Bowl cooking guide. It’s even broken down in a timeline for you, so you can have a full spread and everything ready before kickoff! These wings are worth the work. Even though you have to make the sauce separately, when there’s “sweet” and “chili” in the same sentence, I’m in. With extra dipping sauce on the side? Yes, please. Ginger is so underrated. It’s such a great addition to so many dishes, and you don’t need a lot of it to pack a punch. 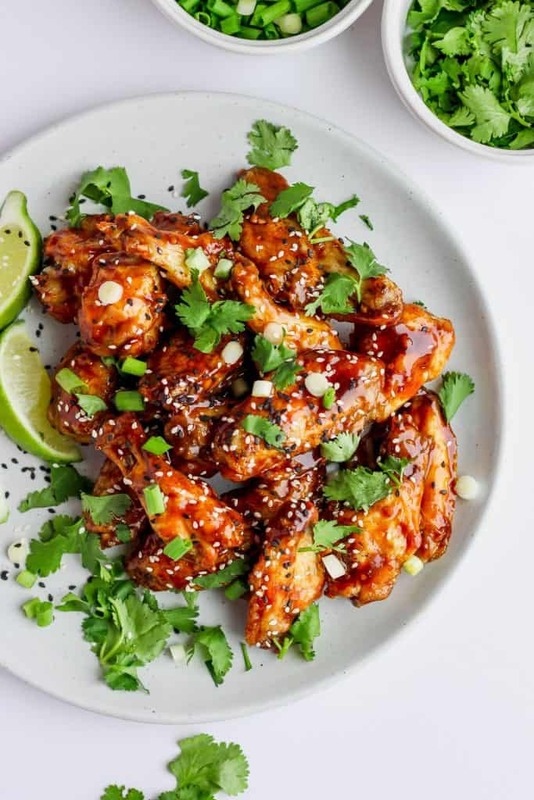 These Ginger Sesame Wings from The Wooden Skillet bring your traditional American food an asian twist, and the result is oh-so-wonderful. 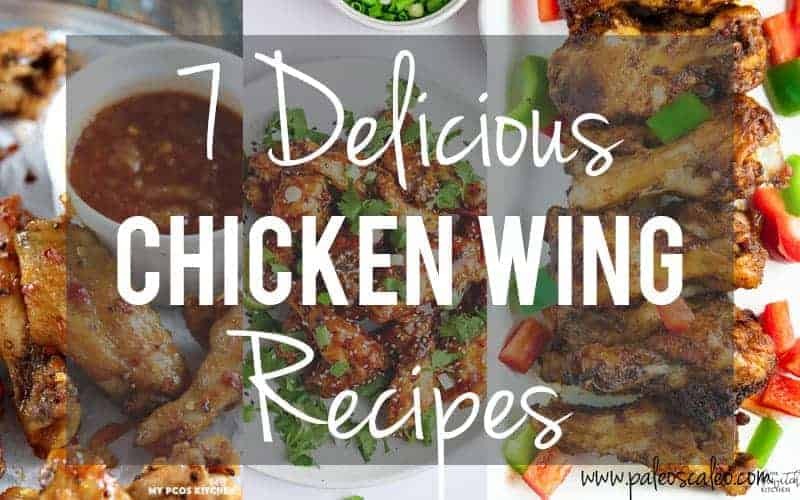 I bet if they were paired up with my Creamy Cilantro Lime Dressing as a dipping sauce, they would be the hit of the party. I haven’t tried it yet, but it’s on my to-do list! What’s your favorite game day recipe to keep things healthy but keep your guests coming back for more? Share in the comments below! 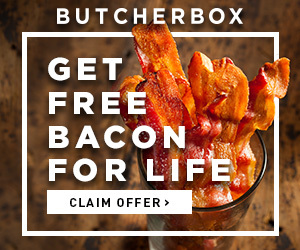 Looking for more great paleo recipes, roundups, and shopping lists? You can find me on Facebook, Instagram and Pinterest to see more delicious food and what I’m getting into.